A new online talent competition Ealing’s Got Talent (EGT) was created as a result to discover and promote KS1 -KS4 pupils from Ealing schools who have a passion to perform using music, dance or drama. This was done under the theme of mental health and emotional wellbeing, as evidence suggests that creative and performing arts can help the physical and mental wellbeing of many pupils, building confidence and allowing them to relax, whilst being inspired and challenged. The standard of performance was excellent, and the health improvement team judging panel had a difficult task in selecting a variety of acts totalling 32 applications from primary and high schools. Third place: Dancing with Stars- Bollywood solo dancer, Blair Peach Primary School. Third place: Black Swan- Contemporary dance soloist, Northolt High School. Three acts were shortlisted to perform their creative pieces that carried a ‘mental health’ theme at our annual Mental health for pupils’ conference on 22 February who were all fantastic. Conference feedback tells us that our pupils have now inspired schools as far as Hounslow to hold talent competitions in their schools. EGT winners and finalists were all invited to the hit West End musical Five Guys Named Moe at Marble Arch Theatre, London in January 2018 with a meet and greet arranged with the cast. EGT primary school winner Mini Hoops was awarded a backstage tour, training session and tickets to see the world-renowned circus company Cirque Du Soleil show- OVO at Royal Albert Hall on Saturday 3 March led by Tim Bennett, Artistic Director. OVO’s main characters Kyle and Aruna that perform as insects in the show co-led the bespoke hula hoops training session EGT primary school winner teaching new tricks and techniques in the performer’s training area on top floor of the Royal Albert Hall. Tickets were awarded to see OVO thereafter with post show photos and a goody bag to be reminded of this once in a lifetime experience. A youth experience day was awarded to EGT primary school winner Mini Hoops from Grange Primary School when she was taught circus skills including tightrope, silks, trapeze, diabolo and hula hooping at the National Centre for Circus Arts, Islington as the second part of the prize in March and April 2018. 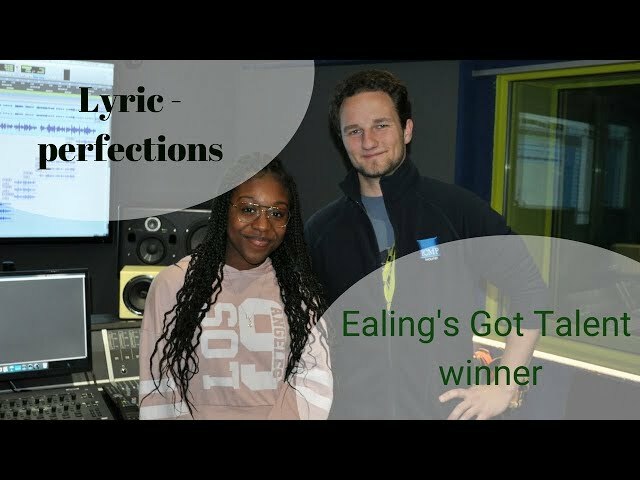 EGT high school winner named Lyric from Drayton Manor High School was awarded an afternoon session in a recording studio to record her original song Perfections at The Institute of Contemporary Music Performance in Kilburn. This song was written under a mental health theme delivering this powerful message: Today’s society many young girls and boys are experiencing stress and anxiety as they are trying to live up to the unrealistic expectations set out by societies most watched individuals – celebrities. Through this song, Lyric’s wish is to encourage students to forget about these unrealistic expectations and begin accepting themselves and their own beauty as perfection.